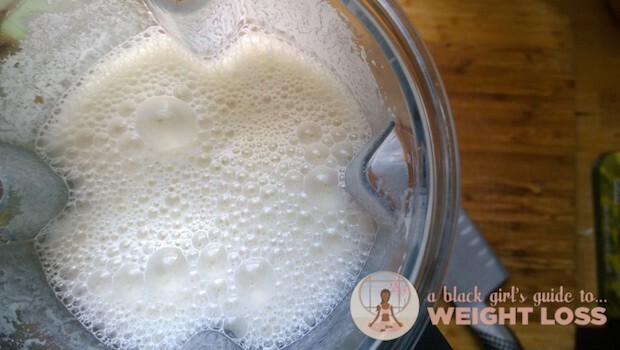 Home Cook It Yourself	Scratch Factory: Make Your Own Creamy, Smooth Cashew Milk! 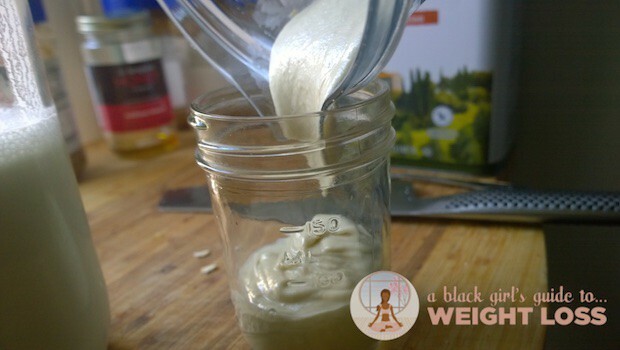 Scratch Factory: Make Your Own Creamy, Smooth Cashew Milk! So, last week’s blog post about almond milk – and its lack of almonds – resulted in lots of speculation regarding what kinds of alternatives there are for those of us who are still somewhat attached to the idea of having milk (or some form of it) in our lives. I’m actually going to make a suggestion – out with almond milk, in with cashew! [Almond milk brand] Califia [Farms] does make a couple of splashy nutritional claims: “50% more calcium than milk,” the bottle declares, and “50% RDI of Vitamin E.” Almonds are a great source of these vital nutrients, but not that great. Our ounce of whole almonds contains 74 mg of calcium vs. 290 mg for a cup of whole milk, and 7 mg of vitamin E, about 37 percent of the recommended daily intake. We talked about that “vitamin and mineral blend” in last week’s post – almond milks contain traces of the oils needed to incorporate additional Vitamins A, E, and K in the blend, and use a combination of thickeners and emulsifiers (an emulsifier is what you add to oil to make it mix well with stuff that doesn’t like oil very well) to keep it from separating in the container. There’s not enough almonds in each individual container to actually pack the nutritional punch that would be there if the almonds weren’t so watered down. Luckily for us, plant-based nut and seed milks are not only easy to make, but quite affordable. Phyo hyper-simplifies the nut milk-making process in a way that makes it easy – not just to make, but to swap out just about any nut, any flavor, and any kind of sweetener. The only thing that’s universally required is a blender, and a strong one, at that. 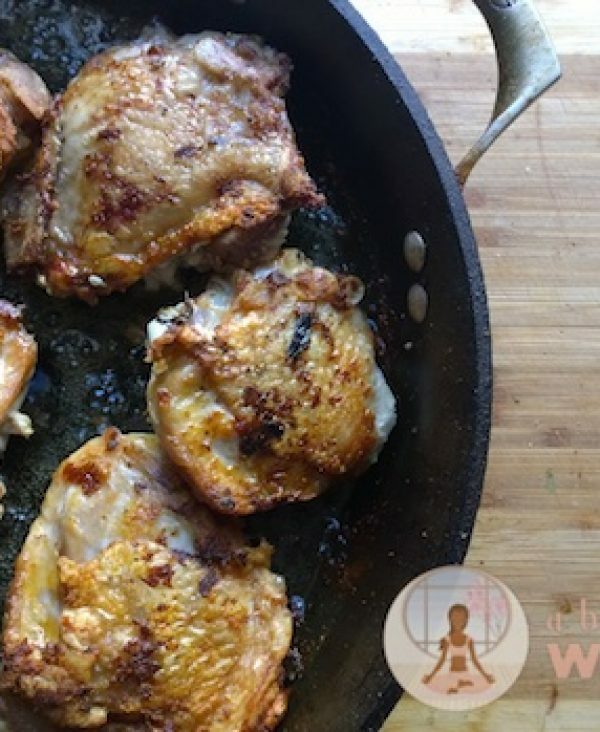 For this recipe, I’m using one cup of cashews. Phyo makes it clear that you could do this with just about any nut – almonds, pecans, cashews, peanuts, whatever. I’m using cashews, here, because I’ve got a cool little trick to share. 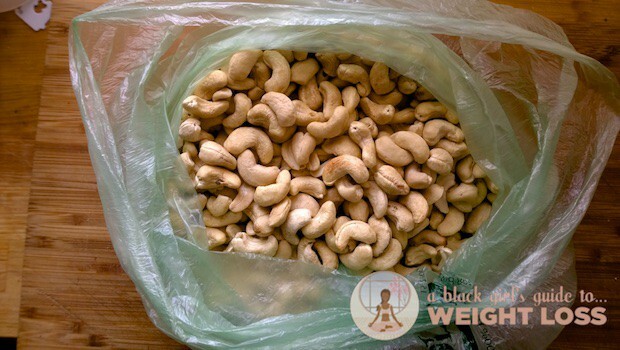 Whenever I buy cashews or any kind of nut, for that matter, I do my best to buy them in bulk. Your local Whole Foods or Fresh Market should have those available in bulk. In NYC, Fairway also has the bulk foods section, and the prices are amazing. 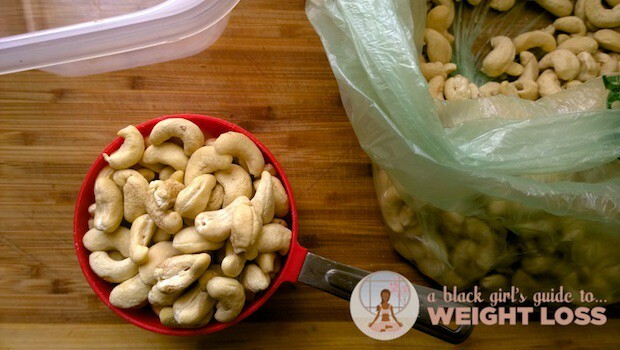 We’ll take our cashews and place them in a container with a pinch of salt, and cover them with water to soak. If you don’t have a high-powered blender like a BlendTec or Vitamix, it’s ideal to soak things before you grind them simply because you’d otherwise short your blender without the soaking. Soaking softens the cashews without much issue, and makes it easier to turn them into a soft, creamy purée. …you’ll be rinsing off some of the potentially “bad stuff,” as well. 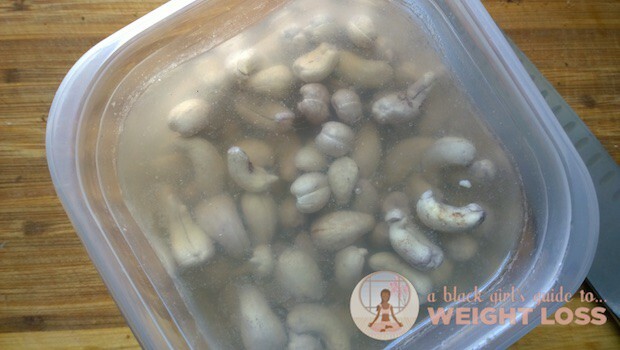 Drain your soaking cashews and rinse them off as best as you can. Split your cashews in half, and toss one half of your cashews in the blender, with 5 cups of water. Here, you’ll choose an extract. Vanilla extract, almond extract, hazelnut extract, whichever you prefer, use 1/4 tsp of it and drop it in the blender. I, ironically, chose almond extract. Here, you’ll also choose a sweetener. 1/4 cup pitted dates, a couple tablespoons of maple syrup, a couple tablespoons of honey, a bit of brown sugar… whatever you choose, grab it and drop it in the blender. I used a couple of tablespoons of local wildflower honey, because it’s summertime and the local pollen has waged war on my soul. Add a pinch of salt, and blend away – let it run for a few minutes. When you look up? Pow! Pour your milk into a large container – four cups of water = 1 quart, so it’d need to be slightly larger than a quart – and immediately put it in the fridge. Repeat the process with the other chunk of soaked cashews. 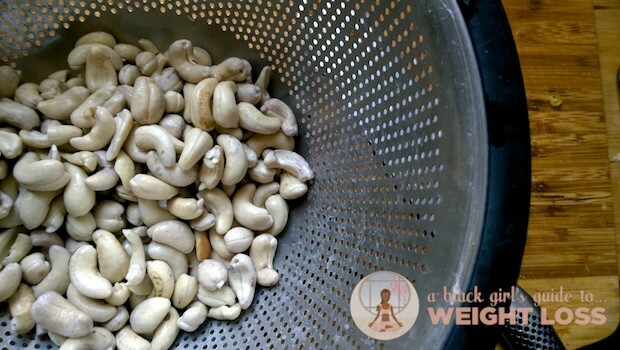 1 cup of cashews equates to about 700 calories, here, with a ton of magnesium, iron, potassium, zinc. Here, you’ve spread this across 10 cups of milk, meaning each cup is about 70 calories, depending upon how much sweetener you put in it. If it’s too thick for you, you can absolutely dilute it or skip the sweetener altogether, depending upon your needs. And, because I was filming this while in the middle of a key lime craving… I’ve got a secret to show you. 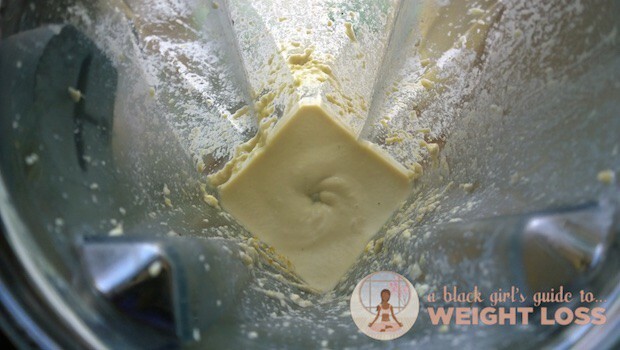 Drop your cashews into the blender with nothing else in it. Add a fourth of a cup of water, a half of a cup of key lime juice, and a tiny pinch of sea salt. And blend away. Let it run until you’ve got this soft, creamy concoction. Add two tablespoons of honey, and let it blend a little more. …and enjoy your key lime cashew pudding. 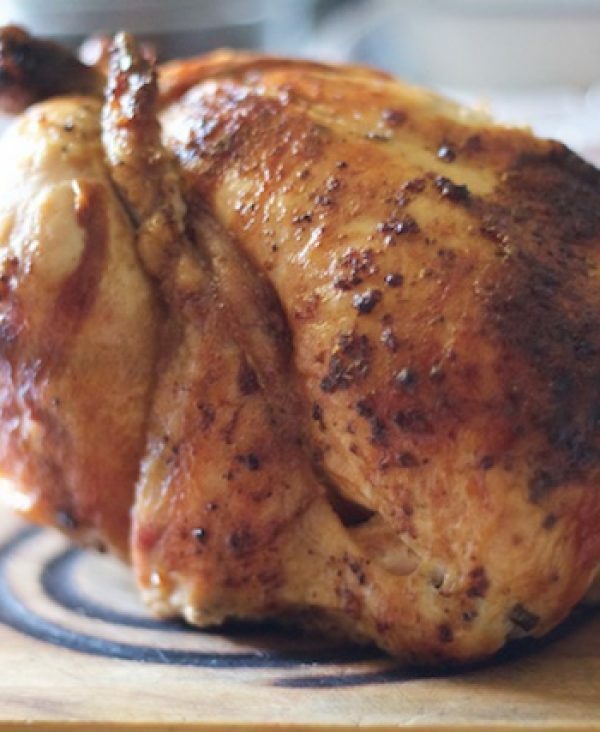 Super-filling, super-flavorful, and very rich… but it is so delicious, it doesn’t make any sense. 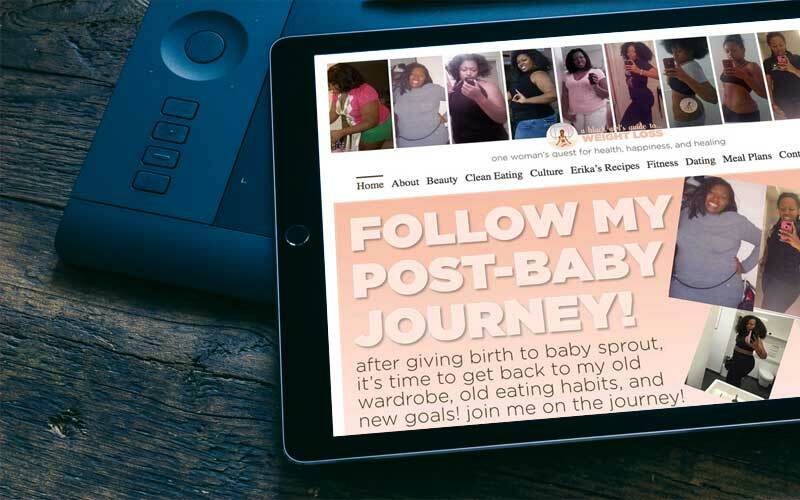 Don’t come fussing at me about calorie counts – I’m pregnant. I’m eating allllll the calories – I’m eating enough for me and you, your momma and your cousin, too. Alas, if half a cup of cashews is approximately 350 calories, and you use that many to make your cashew cream, you can always dilute the recipe a little bit more by adding more water to the mix, or use less sweetener. 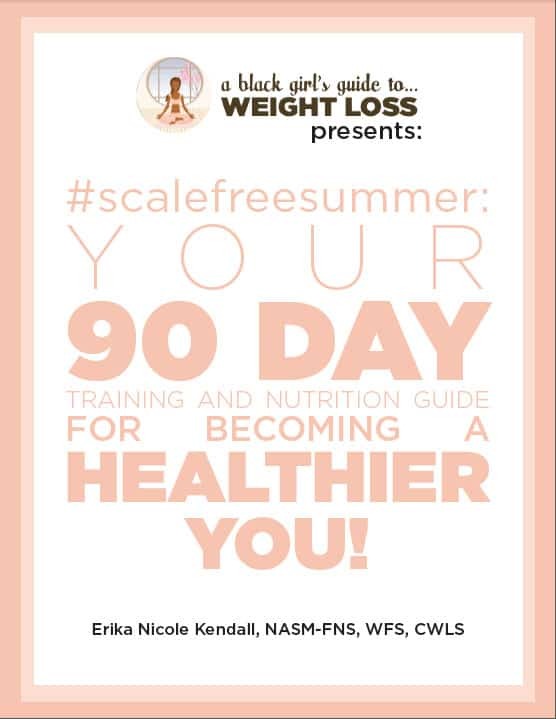 Or – more importantly – keep an eye on your portions! 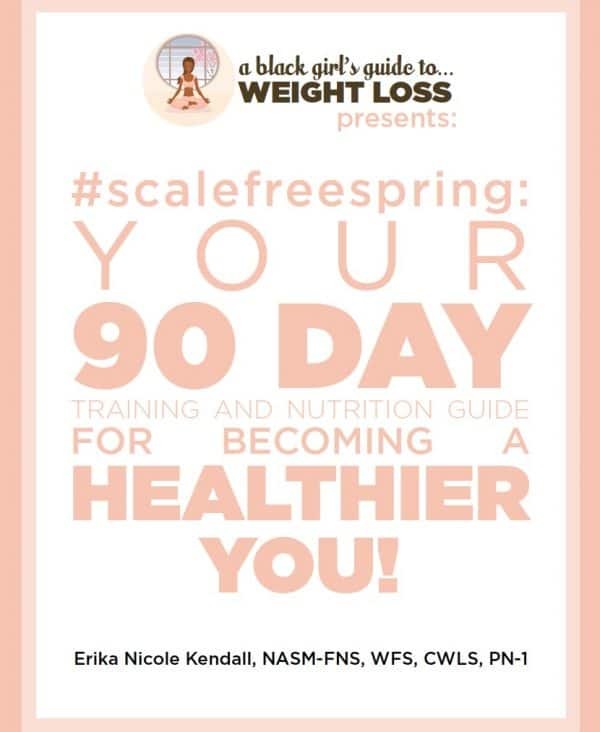 Between those three options, you should be able to control the calories pretty well. This works with just about any nut or seed – from sunflower seed to pecan to peanut to hazelnut, and so on. This freezes pretty well, stores away wonderfully in the back of your fridge, and lasts there a good 7-10 days without issue. Sniff the mixture when you’re finished making it, so that you have a smell to compare it to, then keep sniffing it for freshness as time passes. Once it no longer has that pleasant smell, it’s time to start being concerned. 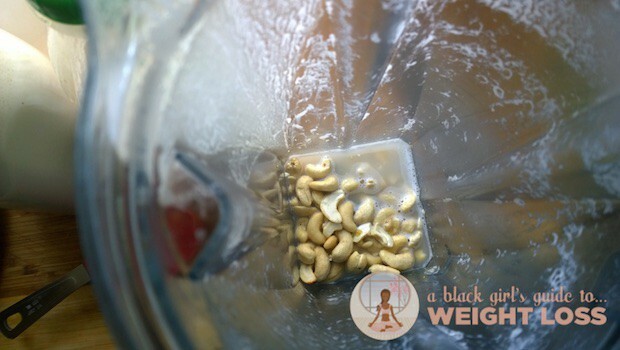 If you have a smaller blender, feel free to split the recipe in half to get the job done, and be sure to soak your cashews overnight to allow them to soften. But, with care, you can get the job just as well as anyone else! 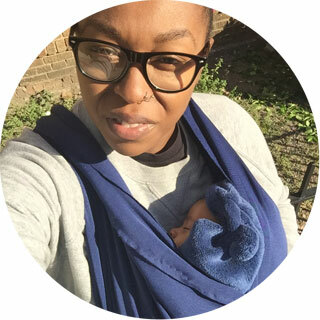 For more information on Ani Phyo’s work with raw food, check out her list of books. 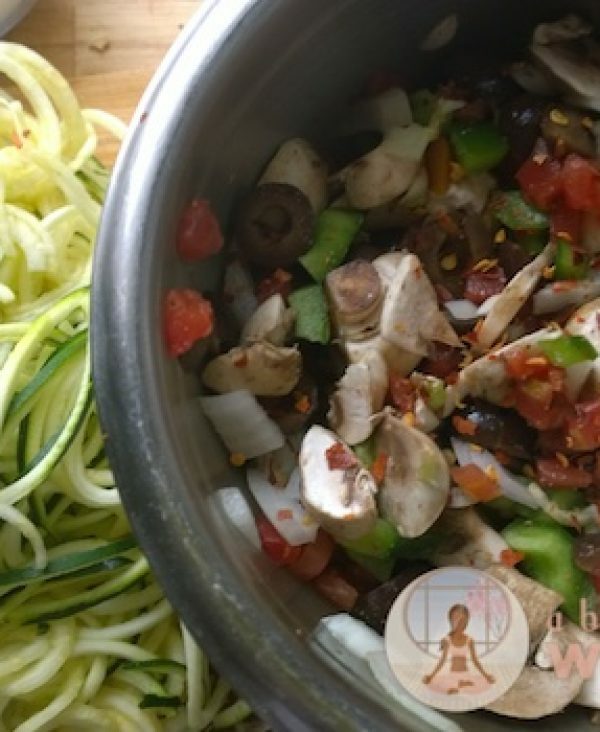 To get your own copy of Ani’s Raw Food Essentials, click here. A small portion of each purchase goes to BGG2WL when you use my link to purchase! 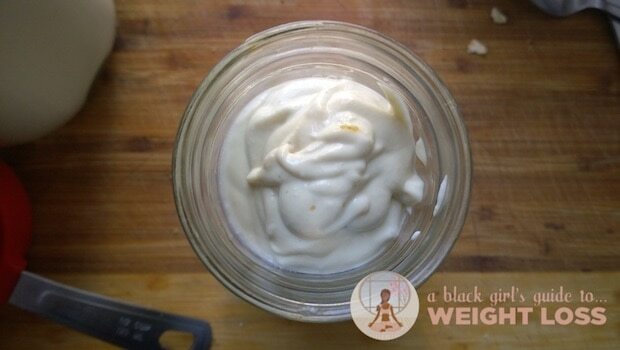 Have you ever made your own cashew or peanut milks before? Share your story below! Is ‘The Whole World’ Finally More Open to a Plus-Size Angel? I too have PCOS! 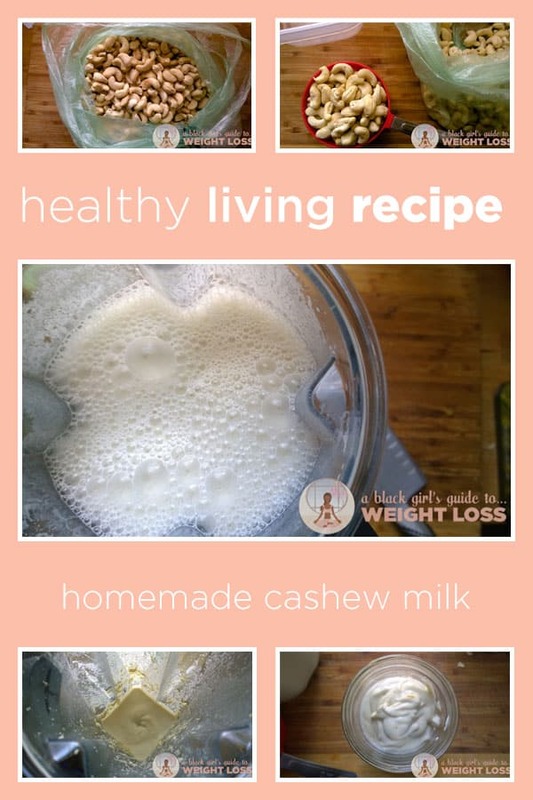 Ive been using cashew milk over almond milk for a while because i prefer the texture and flavor, even though almonds are my favorite nut….i use the silk brand…pretty good to me! This is a cool way to do it yourself though but i’d rather just purchase it…im too lazy for all that, lol! I will definitely try cashew milk. thanks 🙂 it’s so rare to meet other women with PCOS but lately I’ve meeting more and more women who are sadly dealing with it. I haven’t made my own. I can mostly get by without it because I eat a lot of greek yogurt (yeah I could make that too, I know). I have been thinking abut it as I try and decide if I want to make the transition to vegan eating. I may give it a try when the weather cools down. Do you happen to know how much protein is in one cup of homemade almond or cashew milk? I don’t drink a lot of fat free milk, but when I do I like the percentage of protein I get from it..Thanks and good birthin’ mama! When you make almond milk, if you filter out the grainy bits, I’d expect the amount of protein to be severely diminished since the grainy bits ARE the protein. That being said, I’d expect neither to have the amount of protein present in cow’s milk, because it’s so diluted. I’ve made almond, cashew, and rice milk all to good effect, although my recipes included just nuts and water, so I’m excited to try with the additions you recommend. Of all the ones I made, the cashew milk was my favorite, as it has a natural creaminess that the others lacked. Oh, and that key lime cashew cream? ALL OVER IT!! I have an amazing love affair with key lime, lemon, and blueberry anything, so this is right up my alley!! Think I’ll make this once I really get back into my lifting routine with the type of consistency I need/want. And, in case anyone was so inclined to consider making pumpkin seed milk, let me help you with that. DON’T DO IT! Seriously, I thought I was gonna die when I tasted it. 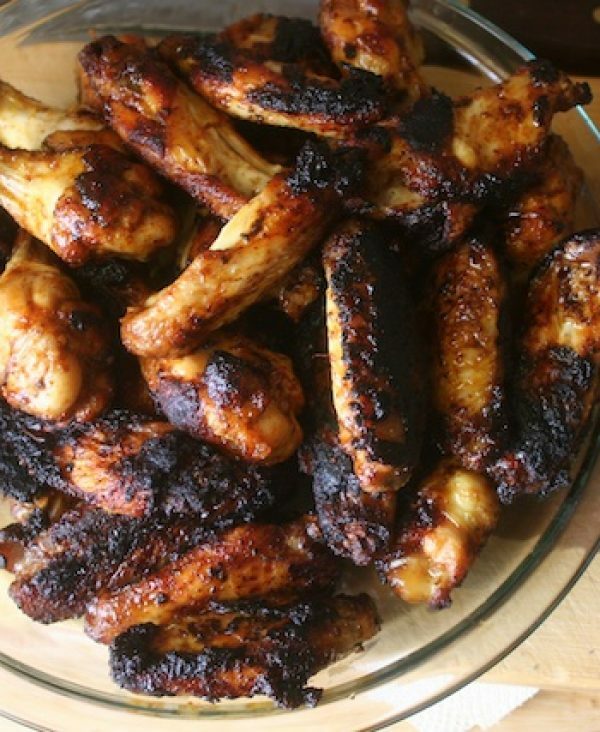 The flavor is much too strong for regular ingestion, although it might work as an ingredient in strongly-flavored foods, but I could not think of any use for it once I made it. Lesson learned.